Beautiful furniture upholstery fabrics, bright furniture painting ideas and classic design make a new collection of Moissonnier furniture for living rooms and bedrooms outstanding. The updated collection of vintage furniture upholstery, new details, modern colors and furniture painting ideas allow to create unique and elegant living rooms and bedrooms with vintage furniture pieces, famous French charm and chic. New items were first introduced in late November during the exhibition Art de Vivre a la Fracaise, and now available for all who appreciate vintage furniture design, creative painting ideas, elegant furniture upholstery fabrics in natural rich and modern colors with dynamic stripes or a tender, watercolor like furniture upholstery fabric print. 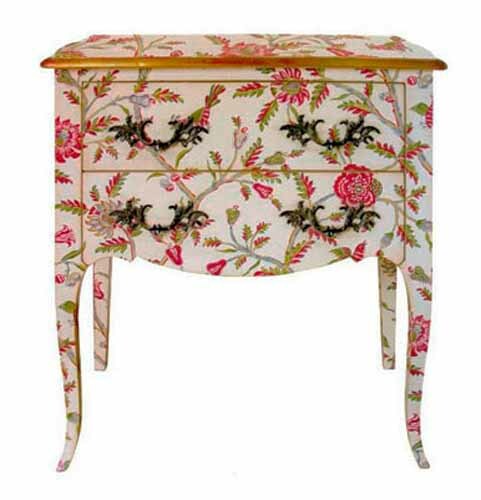 The company Moissonnier, www.moissonnier.com/developed its collection of vintage furniture in classic retro style to delight customers and surprise with creative fabric prints and beautiful painting ideas. Attractive and bright modern furniture upholstery fabrics offer amazing patterns that will add a splash of color to living rooms and bedrooms, transforming room decor in a nice, but dramatic way. Unusual color combinations, rich tones of colors and bright painting ideas make the new collection of classic vintage furniture pleasant and stylish, functional and cheerful. Traditional upholstery fabric prints and modern room decor ideas blend into wonderful home furnishing items for classy retro decor. In April 21, 1885, Emile Moissonnier could not imagine that the woodworking shop he was about to open that morning in his garden would still exist and bloom today. He did not know that he was going to give birth to a line of cabinets, base on three best designs, that will become the hallmarks of Moissonnier furniture collection today. and manufacturing techniques help create these striking furniture pieces for luxurious and classy licinf rooms and bedrooms decoratings. 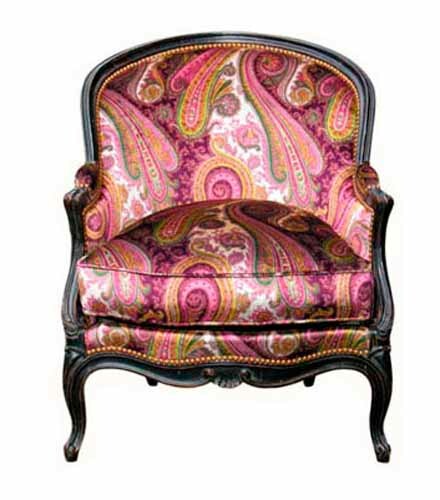 This year Moissonnier used paisley prints in furniture upholstery fabrics for timeless chair designs. Furniture upholstery fabrics in solid colors, especially bright green, purple, pink and red colors, is another modern chair design trend from the French company. 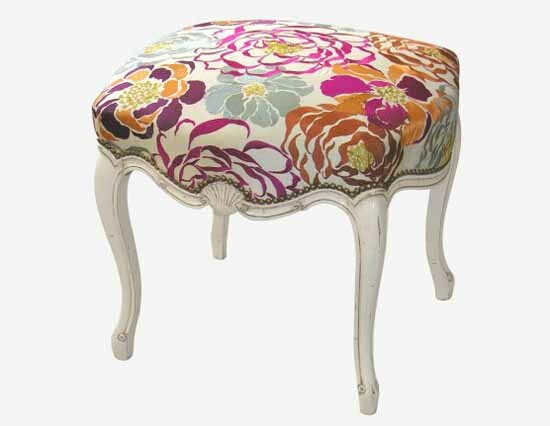 Classic floral motifs and watercolor like decorative fabric prints are a nice way of experimenting with rich colors, offering beautiful furniture for modern living rooms and bedrooms in retro style. 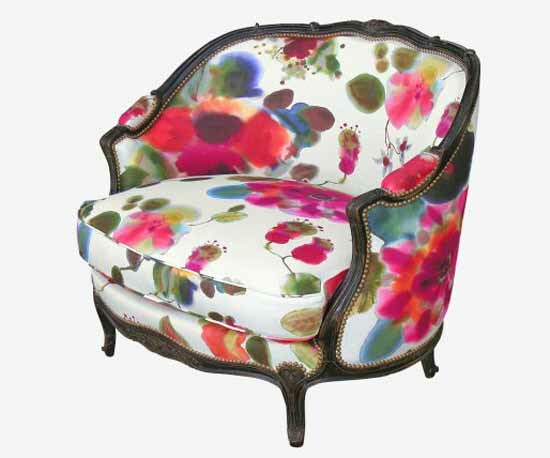 Rich green, purple, pink and red colors brighten up classic furniture upholstery fabrics and create striking furniture designs with famous French charm, vintage furniture chic and a retro modern flavor.